This article, appears in the new Digital Factory Report, a broad look at how new technologies are transforming the way products are developed, designed, made, and sold. Download the Digital Factory Report for free. As electrification swept through factories in the late 19th century, managers anticipated significant gains in productivity; it seemed obvious that replacing steam engines and waterwheels with modern electric motors would make factories more efficient, but those gains didn’t materialize immediately. It took nearly 40 years—until the early 1920s—before the fruit of electrification appeared in productivity measures. The problem, described by the Stanford University economist Paul David in his classic 1990 paper, “The Dynamo and the Computer,” was that 19th-century managers barely reconfigured their factories; they simply joined electric motors to existing systems, which relied on rotating line-drive shafts, pulleys, and belts to power machines. Electric motors may have been somewhat more efficient than the older power sources they replaced, but they didn’t lead to a remarkable transformation in factory economics. That transformation eventually arrived in the next generation of factories during the 1910s and 1920s, when managers took advantage of the flexibility and scalability of electric drive, placing motors in individual machines rather than simply connecting them centrally to line-drive systems. The result was a radical reconfiguration of manufacturing. Factories could be organized around the flow of parts and labor without being constrained by the flow of mechanical power transmission; different divisions within factories could operate independently as demand required; and factories could be reconfigured easily as market conditions and product requirements evolved. The modern factory was born. Manufacturing executives today stand at the edge of a similar transition. A wide variety of digital technologies, including 3D printing, artificial intelligence, connected machinery, and industrial robotics, promise to reorder manufacturing at every level from product ideation and prototyping through production, distribution, and aftermarket service. Taken individually, these technologies can replace legacy processes with some marginal benefit. But, reading from the experience of the early 20th century, the big returns will go to managers who are willing to reinvent their entire businesses to take advantage of new technologies. Digitization has already reconfigured the communication, entertainment, advertising, and finance industries—fields where the core asset is some form of information, easily transmitted across the internet. The retail industry is going through its transformation now, as Amazon bridges the digital and physical worlds with a profoundly efficient combination of software, intelligent logistical networks, and two-sided marketplaces. Manufacturing is next. Connected machinery, additive manufacturing and next-generation industrial robotics turn software and data into crucial drivers of value for manufacturers. Industrial firms that understand new digital business models will thrive, while those that don’t will be left behind. 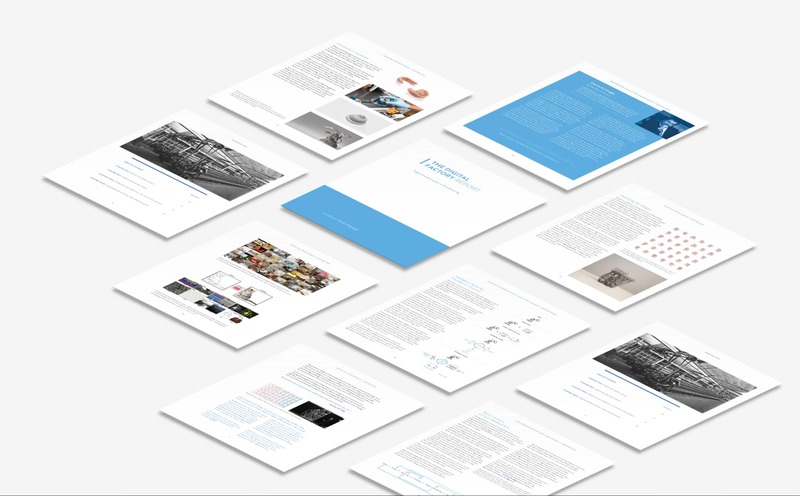 The Digital Factory Report aims to present a coherent vision for how additive manufacturing, artificial intelligence, and machine data will transform manufacturing. In the chapters that follow, we summarize those technological advances and addresses the impacts they are likely to have—not just on manufacturing itself, but on the entire product lifecycle, whose stages from initial design through aftermarket service are becoming increasingly integrated through software. Each of these technologies is transformational in itself, and combined they represent a new industrial revolution. Like the managers who reinvented their factories through electrification, today’s managers need to understand the foundational possibilities of these technologies in order to thrive.